distribution Essentially limited to the Coastal Plain, where it likely occurs in all counties (though there are records for only 55-60% of them). Also occurs sparingly in the extreme southeastern Piedmont, near the Sandhills region; and a photo from Orange County (from 2003) extends the range westward into the northeastern Piedmont. A sight report for Rutherford County, in the far-western Piedmont, is open to question; there are no known Piedmont, much less upper Piedmont, records for SC or GA (on the OdonataCentral map). abundance Uncommon to locally fairly common in the southern Coastal Plain -- Sandhills area east to Jones and Onslow counties, but generally rare elsewhere in the Coastal Plain. Very rare in the narrow portion of the range in the Piedmont. flight In the Coastal Plain, the flight occurs between early May and early August, with a collection record from late September being quite late. The few flight dates for the Piedmont occur from early June to late July. habitat Lakes and ponds, especially where there are shrubby or swampy areas around the waters. comments In the past several years, there have been quite a few photographs to document the species, especially in the southern Coastal Plain. 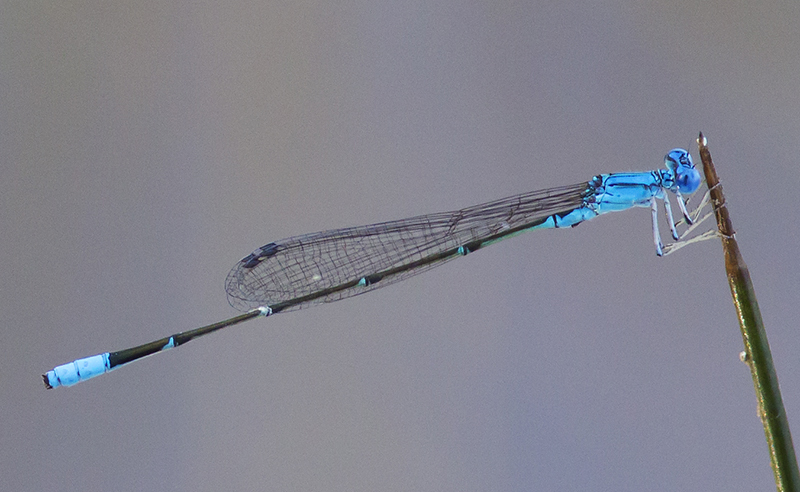 However, recent observations/photos from the northern two-thirds of this province have been lacking, due perhaps mainly to poor surveys of damselflies in this part of the state. Some form of documentation for the Rutherford County report is needed, as it seems that the species is absent from the Piedmont throughout its range, except very close to the Fall Line. Comment: Bladen, 2014-06-02 Female, Singletary Lake. Found perched on vegetation along pier and by bridge at lake drain.